If you are a dedicated road warrior looking for a small, bright, and versatile LED projector, ViewSonic's new $710 PLED-W800 may be just the ticket. It is not the smallest or lightest contender in the mini-projector market, but it is the brightest at 800 lumens, and it sports more ways than most of its competitors to make wireless presentations a breeze. Of particular interest is the optional PJ-WPD-200 wireless dongle ($123) which allows Wi-Fi connection to laptops and mobile devices with just a simple software download from a Web site or an app for iOS and Android devices. The PLED-W800's SD card slot and USB-A connector accommodate stored presentations, photos, and other data saved on remote recording devices. To top things off, the HDMI input is MHL-enabled, so along with traditional HDMI sources like DVD players, the PLED-W800 can connect both iOS and Android mobile devices via HDMI adapters available from several manufacturers. 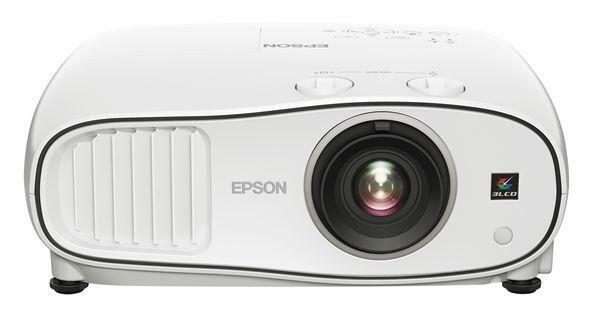 With all its versatility comes another plus: this projector is a top-notch data projector and its video performance is excellent. Data images are crisp and detailed with no hot spots that can sometimes be seen in the mostly white backgrounds of Word and Excel documents. Photos are well saturated with good contrast, and even at full keystone correction, small fonts are easily readable. The PLED-W800's video performance is on a par with larger projectors with more sophisticated optics and electronics, and if you are relaxing in your hotel after a hard day, you won't be disappointed watching a movie projected from the PLED-W800. With a few adjustments to contrast, brightness, and color space (more details later), you will see excellent flesh tones, background detail even in dimly-lit scenes, and the audio output from dual 2-watt speakers is more than enough for a small room. With an MSRP of $709.99 and a street price of just over $650.00, the PLED-W800 is priced about $100 over its two closest competitors, but it delivers an additional 100 lumens and it comes with a three-year warranty instead of one year. That extra warranty time can easily cover the price differential if something fails after the first year, but like all LED projectors, the PLED-W800 must be returned to a qualified service center if the LEDs fail since there is no user replaceable lamp. Overall, the PLED-W800 is an excellent performer with broader input source options and higher brightness than its competitors. You have to pay for this versatility and increased brightness with size, weight, and a few more dollars. In our view, that is an acceptable trade-off if you need this level of performance. With solid performance, video and data, this sounds like it could be a good gaming projector. What kind of input lag does it have? Every year or so LED lights improve a 5% or more in brightness or efficiency. The top CREE LED flashlight I paid 60+ dollars for 6-7 year ago is trumped by the flashlight that is less than 5 dollars. I'm surprised there aren't more pico/portable projectors with the advancements of CREE and other LED manufacturers.